We are in the possession of two boats with a capacity for 10 persons each, equipped with two cabins on one vessel and 3 on the other one with 3+4 bedrooms or 2+2+4 bedrooms respectively in the cabin. On board yoyw ill find a small kitchen and a toilet. 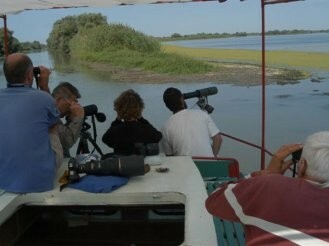 The routes followed by our boats are taken in deliberation with the participants of the trips and depending on the regulations of the nature reserve Dunabe Delta as well as the necessary time for the excursion. 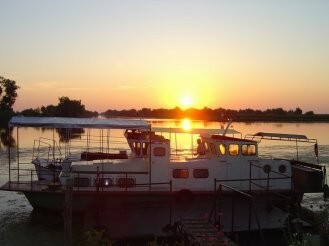 As a rule the starting point will be Tulcea, however depending on the route a strart from Murighiol can be arranged. Lodging and meals will be at the guesthouse in Mila 23 in bedrooms with 2 or 3 beds, with common douches with cold and warm water non-stop and toilets.